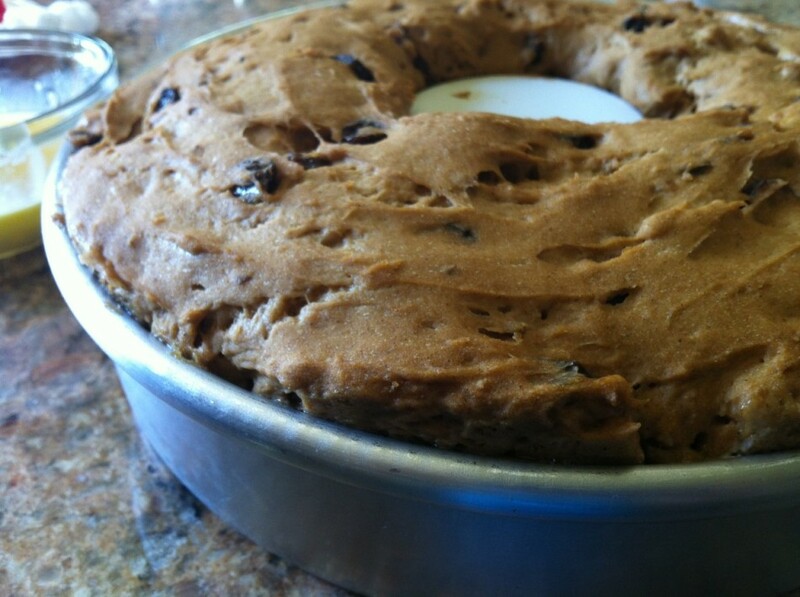 I used Bob’s Red Mill Cinnamon Raisin Bread Mix and baked it according to the directions and put it into a round angel food can pan with a removable bottom. Easy right? It had a molasses flavor to the challah, something like a sweet pumpernickel but not as heavy. 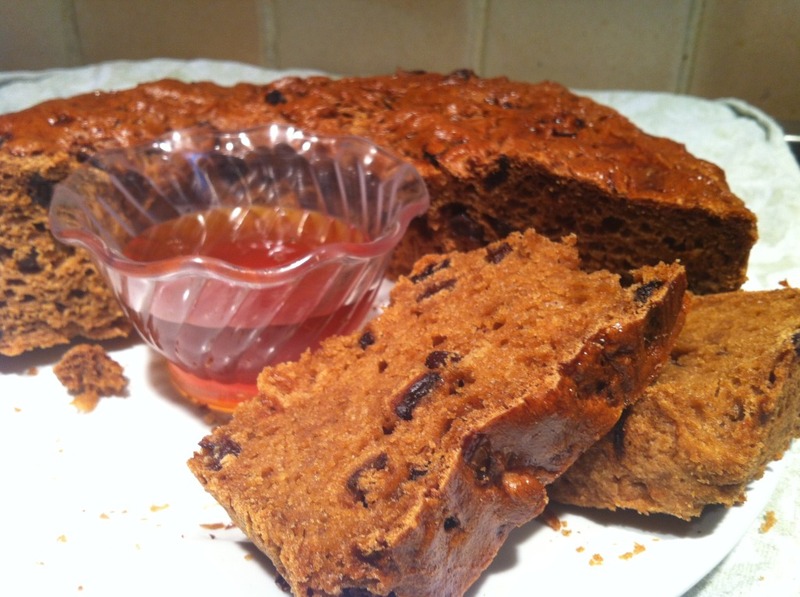 The kids love the raisins in the bread. 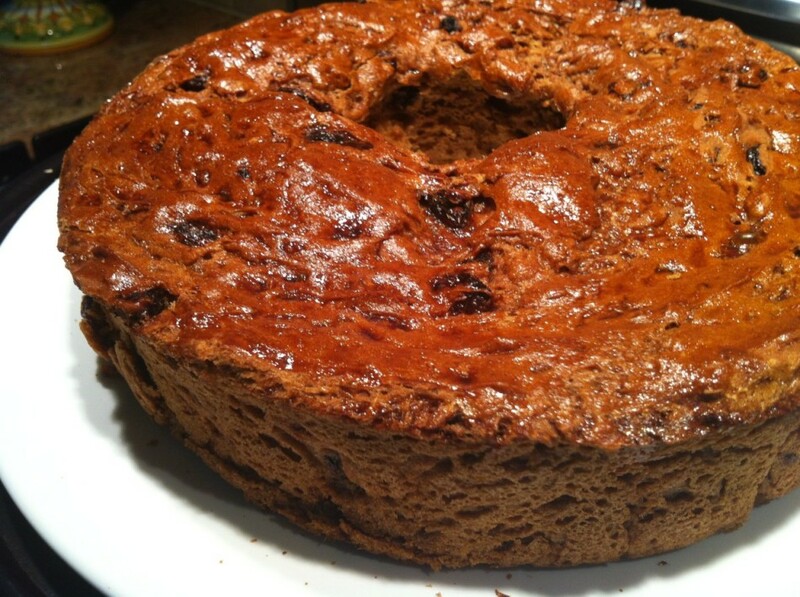 Certainly not a traditional challah, but one worth making if you like raisins. 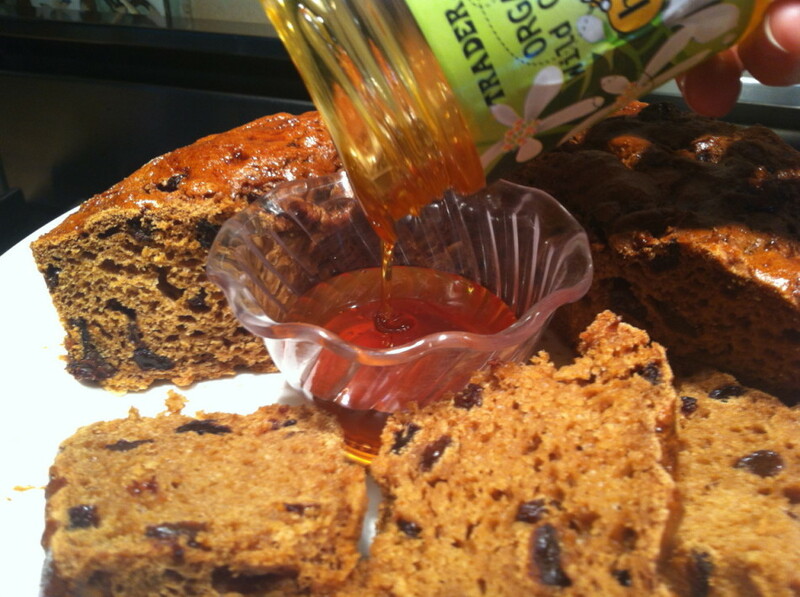 For other times of the year you can make this in a loaf pan for cinnamon sliced bread. Round challah is made especially for Rosh Hashanah, and is dipped in honey to bring in a sweet New Year. Also why we dip apples in honey and generally avoid bitter, or spicy flavors for the holiday meal. We make the round challah to symbolize the circle of life for the new year upon us. 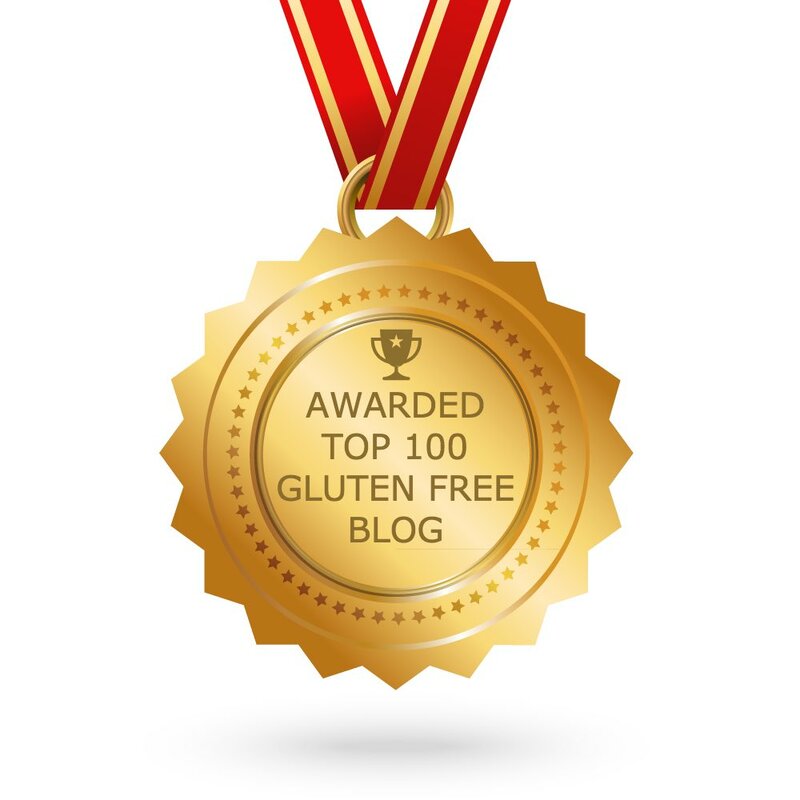 It is an easy recipe that does not require a bread machine or any bread making experience. As you know, finding a gluten free, dairy free challah is not readily available at the bakery … this challah will have everyone thanking you for bringing a little tradition to the table that they can eat and enjoy! 2 – I cover the dough with a dry cloth and leave it on top of the preheating stove, rather than the plastic wrap as noted because the last time I made it per the plastic wrap it did not rise as high. The second picture below is after it has been covered for an hour. 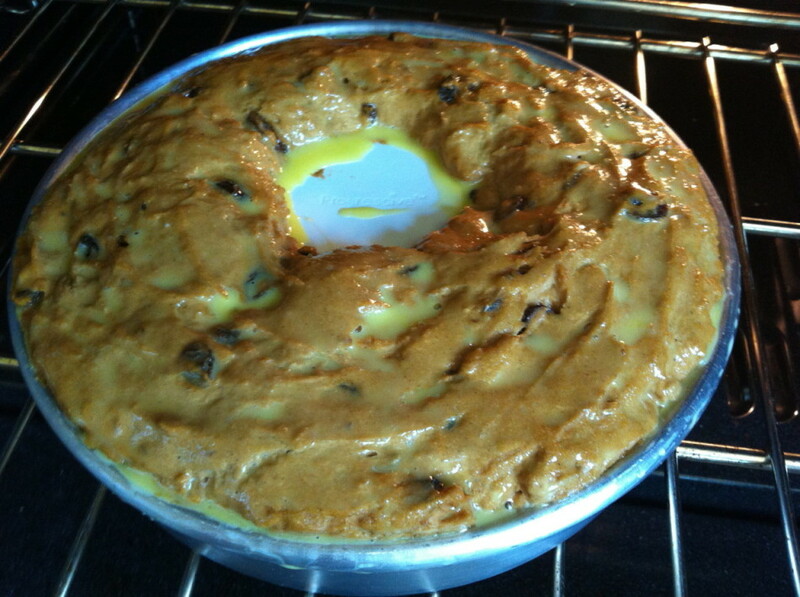 3 – To make it round, I put a small ramekin in the center of my round cake pan and then placed the dough around it. 4 – Then scrambled an egg and brushed it liberally over the top just before baking for a beautiful shine. Serve after it has cooled 5-10 minutes. Serve warm or at room temperature.